Oh-three-oh-three-oh-three. That was the date I had had in my head for forty whole weeks. The date I had first heard spoken out loud by the doctor around eight months earlier. The day my first baby would arrive. It seemed like magic from the start. As a child, I had mystic notions about the number three. I think I had read in a library book that it had magical properties. That was all I needed to begin a lifelong attachment to the number. 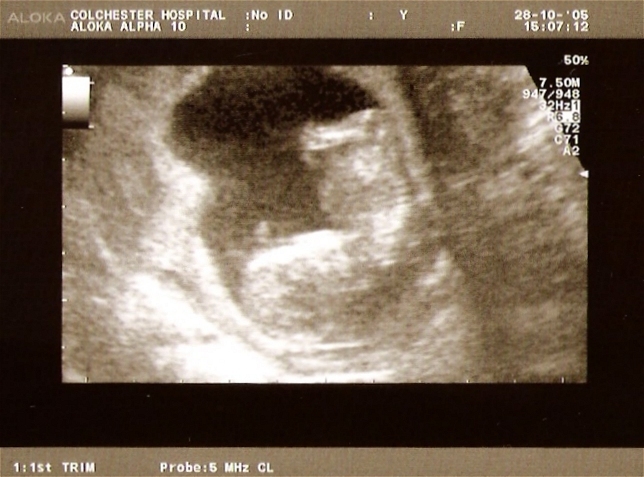 And now, twenty-plus years later, on March 3rd 2003, here I was, due to have a magical “three” baby. Or perhaps that should be a “drei” baby. My husband and I, recently married, were living and working in Germany. 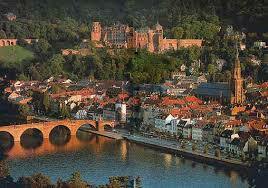 We both had well-paid “knowledge” jobs in the IT industry, a beautiful apartment in a leafy suburb of Heidelberg, one of Germany’s most gorgeous cities, and lots of free time to spend doing whatever the hell we liked. And what do people in the Western world do when they have everything? They want more everything, of course. We wanted a baby. All the books and websites said it can take up to a year to become pregnant. That sounds like a good time frame, we thought. Plenty of time to practise. Four weeks later, said baby was on the way. Oh right, we thought. That didn’t take much practice at all. My husband and I were academic types. I was one of those annoying students who always had their hand up in class and liked nothing better than a good long essay for homework. My husband was one of those even more annoying students who appeared to do no work whatsoever but still got straight As. We set to work on our latest assignment. The beautiful apartment soon began to pile up with Babykram. Kram is a fantastic German word. It means “stuff”, but it sounds so much more like it actually means “stuff” than in English. Books, videos, sheets printed from the internet, the cot, the nappy changing unit, cushions in bizarre shapes – if it was Kram, and had anything to do with babies, we got it. We spent evenings with our noses buried in books and our fingers became deformed from over-use of Allen keys. Then there was the birth preparation course. The course leader was an imposing, broad-shouldered midwife named Hannelore. The course was specifically for couples who were first-time parents and Hannelore was determined to disabuse us of our naive notions about childbirth. Did I say dis-abuse? She declared in one of the first sessions that to create an idea of what the pain of labour would be like, each non-pregnant partner was to grab the groin muscle in their pregnant partner’s upper inside thigh between their finger and thumb, and pinch as hard as they could. Hannelore was unimpressed with the mild “ow”s that emanated from the pregnant women in the room. So she rolled up her metaphorical sleeves and went around and pinched us all herself. The pain was excruciating. There were actual screams coming from the room. I limped out to the car afterwards beside my shell-shocked husband, feeling that not much magic remained in our baby journey. Baby, or Casper the friendly ghost? The birth preparation course left my husband and me feeling not very prepared, and very slightly terrified. On the more positive side, the wonderful German healthcare system granted us monthly ultrasound scans, so we were able to closely follow our baby’s progress from tiny black blip to the ghostly but unmistakeable features of a perfect little face staring back at us, back to a black-and-white blur as the baby got bigger, and bigger. And I got bigger, and bigger. I had expected this, of course, but I was concerned for my centre of gravity. Surely the laws of physics would work on the magnitude of my tummy to make me fall over? Apparently not. I managed to remain upright until the end. Ah, the end. Oh-three-oh-three-oh-three finally arrived. But it turned out to be a big fat oh-no. Not even a magic wand was going to get our baby out that day. It took five more days, a nice walk and a Thai curry to kick things off. Posted on March 3, 2014, in Family life, Parenting and tagged childbirth, germany, Heidelberg, humour, parenting, pregnancy. Bookmark the permalink. 2 Comments. Jayney mac. My own groin is twinging as I read. The German language is so wonderfully comic. Kram is a perfect word for stuff and Hennelore is an ideal name for such a doler of punishment.